“We are addressing future technologies with the wrong tool: tailpipe CO2emissions measurement does not express anymore, neither vehicle’s efficiency on hybrid architectures, nor climate change impact when renewable fuels are used” – Andrea Gerini, Secretary General of NGVA Europe. The Carbon Corrector Factor does not bring any ‘double counting’, but it solves the limitation of the current methodology (tailpipe emissions measurement) which does not distinguish the origin of the fuel. The associations are not seeking inappropriate advantage through this proposed methodology; they are instead asking the Parliament to recognise and insert a realistic measurement of emissions into legislation. 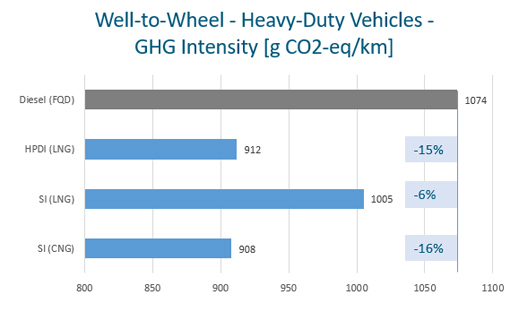 In 2017, NGVA Europe, supported by a wide partnership of industry organisations, commissioned the leading global consultant and software company in the Lifecycle Analysis (LCA) domain, thinkstep, to perform an industry-wide analysis of the supply and use of natural gas in Europe, not only with regard to road vehicles (Well-to-Wheel) but also including maritime vessels (Well-to-Wake) and power generation (Well-to-Grid). 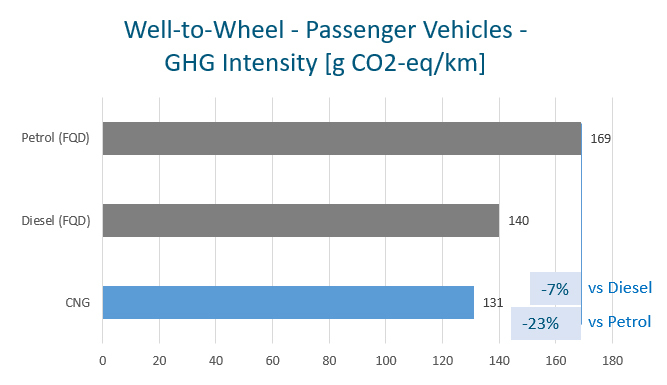 It found that, considering the overall Well-to-Wheel (WtW) impact, there are significant benefits and reduced GHG emissions from passenger cars as well as light and heavy-duty vehicles when switching to CNG or LNG from petrol and diesel. NGVA Europe is an association affiliated with NGV Global.